Why is SAP the most demanded skill in the market? SAP is a market leader in applications, analytics, and mobile solutions and is among the fastest-growing companies in the world. SAP serves customers in 190 countries, and their partner network comprises more than 11,700 companies around the world. In Pakistan, 450+ companies run on SAP and the number is increasing! TallyBiafo Academy aims to give you the chance to enter one of the most lucrative industries in the world. How TallyBiafo does it differently? TallyBiafo is SAP authorized emerging education partner. We have a blended learning model, which not only consists of learning, but also helps you learn from our SAP certified consultants who are having a diverse industry experience. 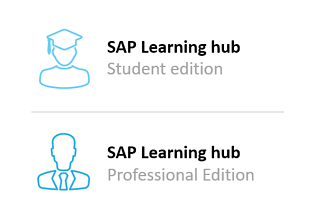 We also provide access to SAP® Learning Hub which is one of the largest, most-comprehensive online learning program to deliver cloud-based training. Why choose TallyBiafo as your SAP Education Provider?